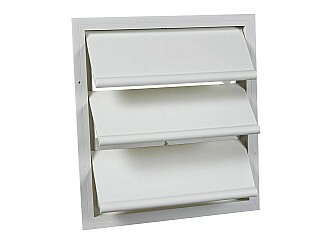 10-Watt Gable-Mount Solar - Air Vent, Inc. The Solar Powered Gable-Mounted Attic Vent operates during the day and collects power from the sun to convert into electricity. There's no electrical hookup or electrical costs ever. It's easy to install and easy on your wallet! And that means environmentally friendly, budget conscious operation for year-round comfort. There’s no electrical hookup or electrical costs ever. It’s easy to install and easy on your wallet! And that means environmentally friendly, budget conscious operation for year-round comfort. 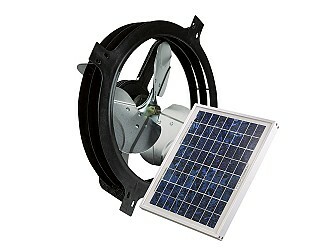 After the fan and the solar panel are positioned and secured, a simple plug-in from the fan to the solar panel is all that is required.